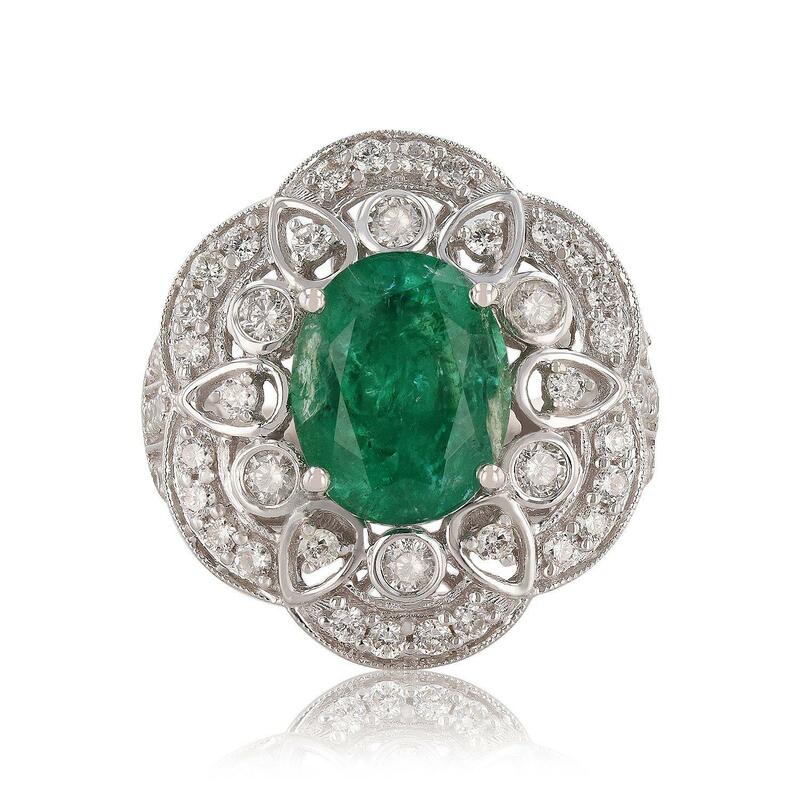 One prong set oval mixed cut natural emerald, measuring 10.60 x 8.40 x 5.46mm, approximate weight of 2.78ct., clarity is heavily included, type III, medium, moderately strong, very slightly bluish green color, (GIA vslbG 5/4), cut is good. Transmitting light with a minimum of distortion, transparent. Naturally occurring internal and external characteristics are present. Indications of oil residue. Graded in the setting. Sixty prong and bezel set round brilliant cut diamonds, measuring 2.30 - 1.50 x 1.14mm (depth est.) approximate total weight of 60 Stones = 0.97ctw. Graded in the setting. Total Weight of Colored Stones 2.78ct. Total Weight of Diamonds 0.97ctw.